During the week-long programme, the participants attended a series of seminars and discussions that featured experts from both the academic and defence communities. The theme for APPSMO 2017 was “International Politics in the Asia Pacific: Implications on Security Policies and Defence Relations”. Some of the key topics discussed included counter terrorism, the future of conflict, information and cyberwarfare, rules and norms in Asia Pacific security, defence diplomacy, and preventive diplomacy. The participants visited the Multi-Mission Range Complex, the Changi Chapel, and were brought on a military heritage tour. They were also brought to the Seletar Aerospace Park and Port Operation Control Centre. On 9 August 2017, they attended Singapore’s 52nd National Day Parade. 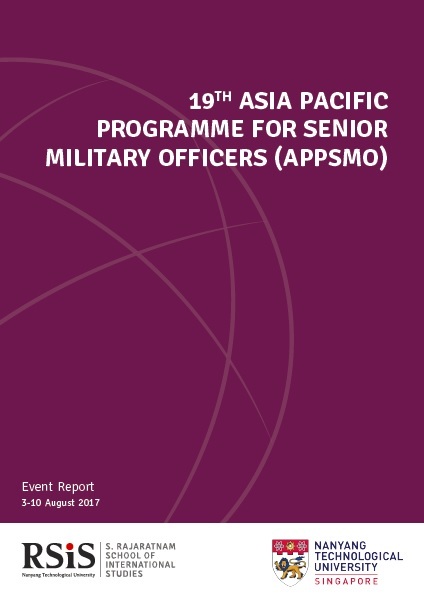 APPSMO 2017 has played an important role as an additional conduit for defence diplomacy by facilitating interaction among senior military officers in and beyond the Asia Pacific. It has provided an opportunity for participants to foster a better understanding of each other, as well as their respective countries.